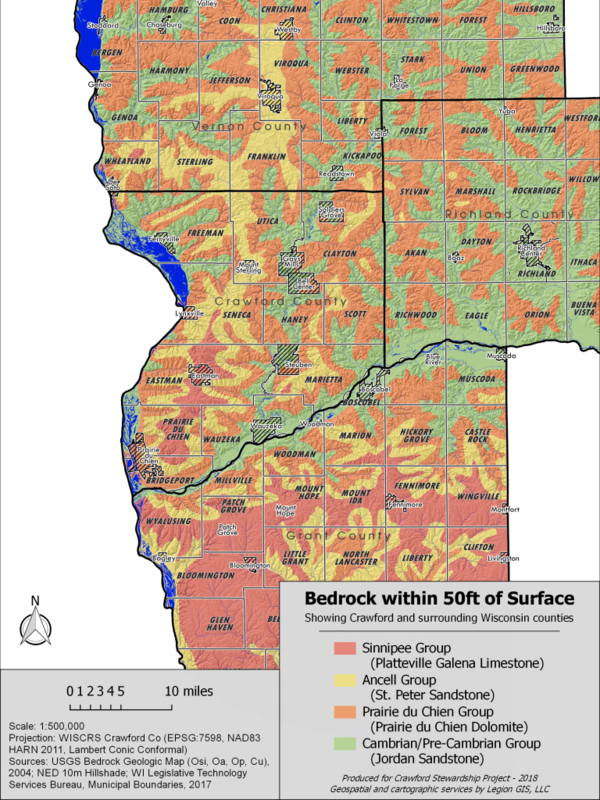 The Driftless Area of Wisconsin, Iowa, Minnesota and Illinois is made up of bedrock of dolomite and limestone which is continually dissolved by water. The area is characterized by connected cracks and layers between rocks that easily transport water. 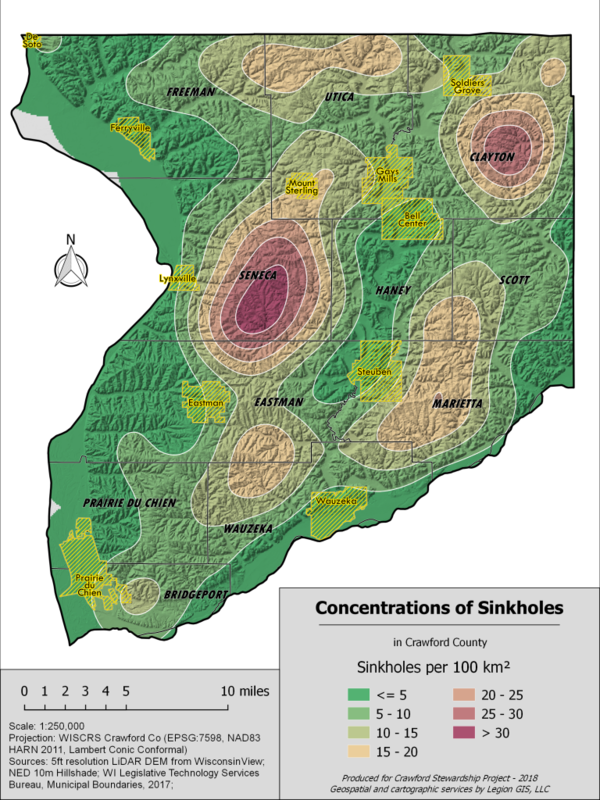 Sinkholes, shallow soils, springs, and disappearing streams are found in Karst regions. This beautiful geology lends itself to vulnerability of surface pollutants reaching groundwater. 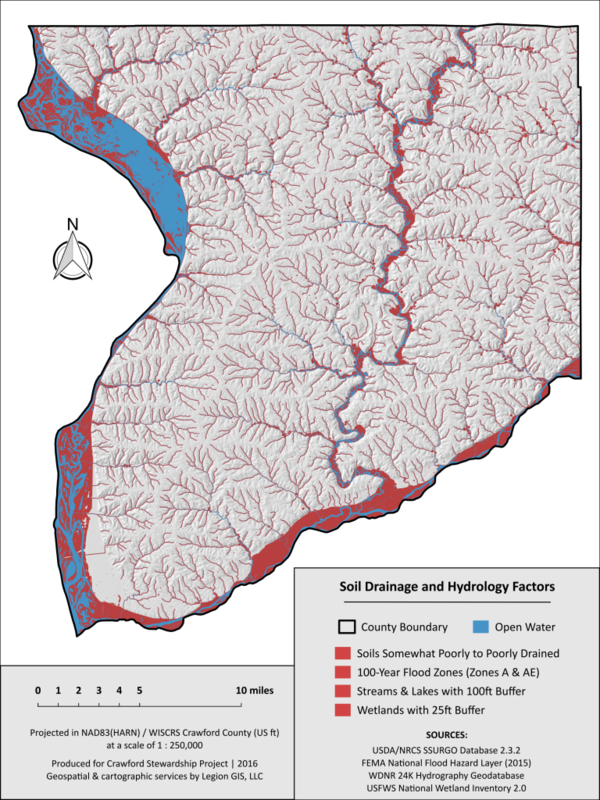 And once polluted, the water of our area would be polluted virtually forever. CSP sponsors Karst Identification Workshops led by Dr. Kelvin Rodolfo of Viroqua, WI. He is Professor Emeritus of the University of Illinois at Chicago. 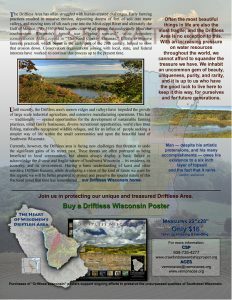 These popular events offer insight and understanding of our local landscape and include field trips to view area karstic features. Our work so far at citizen science events can be observed in the interactive map above (or at this link). Thank you to all who volunteered at our karst citizen science events! 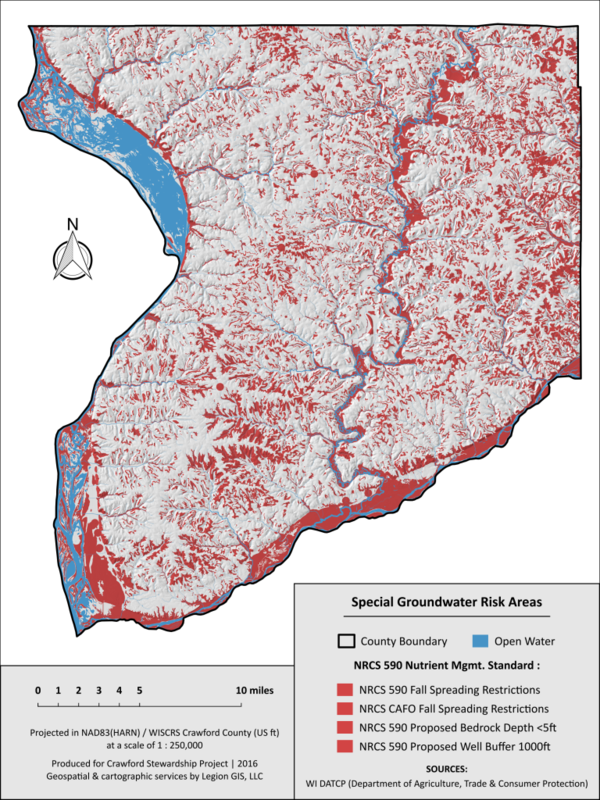 This is key in getting our government institutions to recognize the sensitivity of our landscape and watersheds. 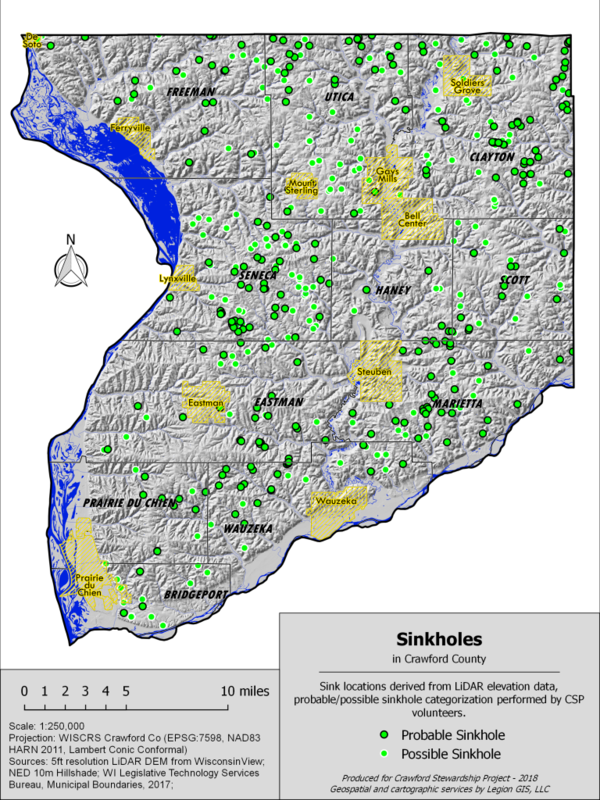 Listen to “A Leaky System” about karst. CSP Program Coordinator Forest Jahnke is among interviewees in this podcast. 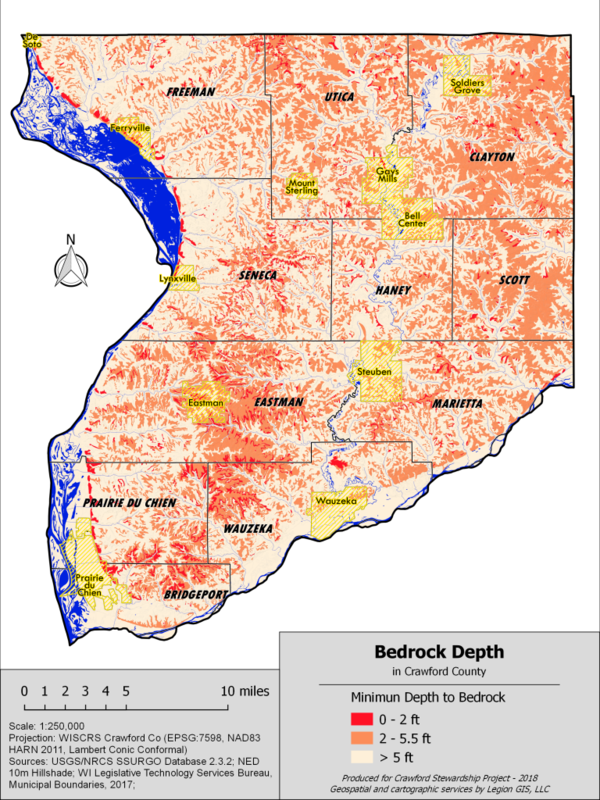 Karstic features on your land can be reported to geologists working to map out the features in the Driftless region. You can download and print out this WI karst reporting form, fill out the form and send it to CSP, PO Box 284, Gays Mills, WI 54631. All information will be kept confidential and used by geologists on the project. 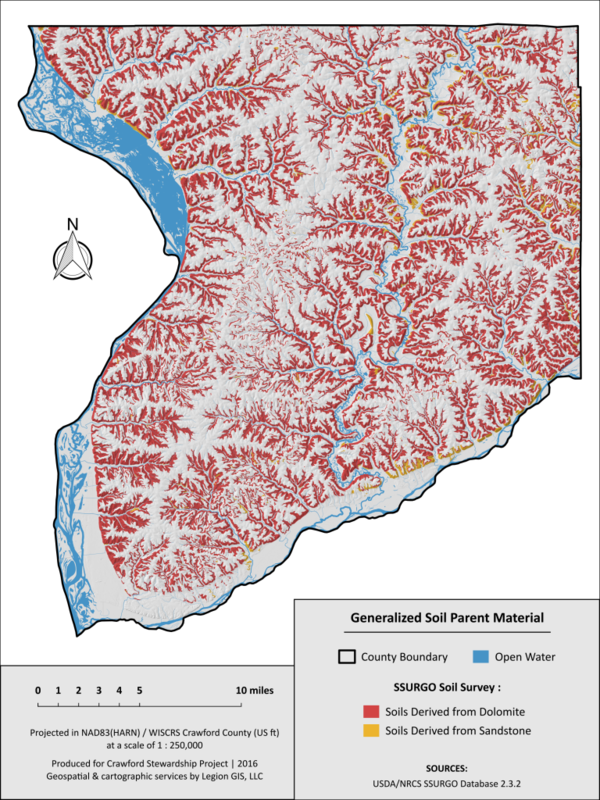 You may also send the form to the USGS as listed on the form. However, presently they do not have any staff working on this, so are just retaining the information. 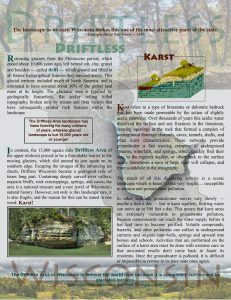 Check out our Driftless Area Karst Fact Sheet! 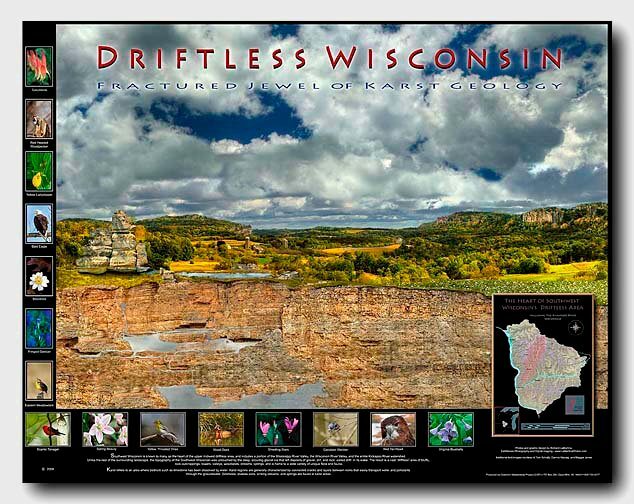 This beautiful, artistic and graphic display of our precious karst geology is created by local photographic artist Rick LaMartina. It measures 22″ x 28″ and you can have yours for $10 plus $4 shipping. Send orders postpaid to CSP, PO Box 284, Gays Mills, WI. Allow 2-4 weeks for delivery. Makes a great gift and conversation item. 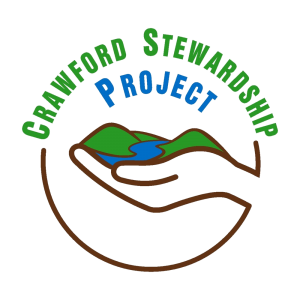 Crawford Stewardship Project is a 501(c)3 non-profit organization registered in the state of Wisconsin. Donations are tax deductible to the extent allowed by law.